Search our database to find drug related pediatric articles. You can search by Drug name, Publication, or Keywords. 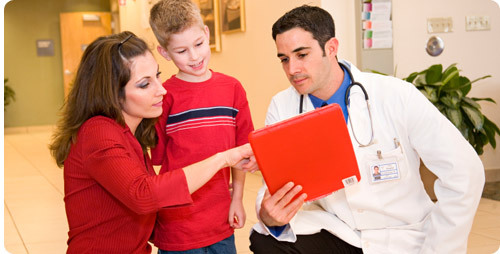 Provide cutting edge information for clinicians and investigators in pediatric acute care. To disseminate new therapeutics research into practice for the management of children with acute illness and injury. Children requiring urgent care in emergency departments, intensive care units and other acute care settings, have unique needs. This is especially true for those with serious and life-threatening emergencies. The field of Pediatric Acute and Critical Care has rapidly evolved over the last two decades and new scientific research provides ample opportunities in excellent care for children. The dissemination of such information and translation into practice takes many years. The Pediatric Research in Emergency Therapeutics (PRETx) program has been offering an extensive free online database for the last 10 years. The information provides free access to the most up-to-date information available for clinicians and researchers in the pediatric acute care field, and allows dissemination of information around the world in a comfortable and simple way. PRETx also offers new evidence through its research arm, conducting retrospective, observational and prospective studies. The PRETx educational arm involves a post doctoral research fellowship in pediatric emergency medicine, several programs for all levels of training and courses to help transfer knowledge into action in acute care pediatrics.